The ACT is a standardized test created by ACT, Inc. utilized by universities and colleges around the country to help make decisions about college admissions. 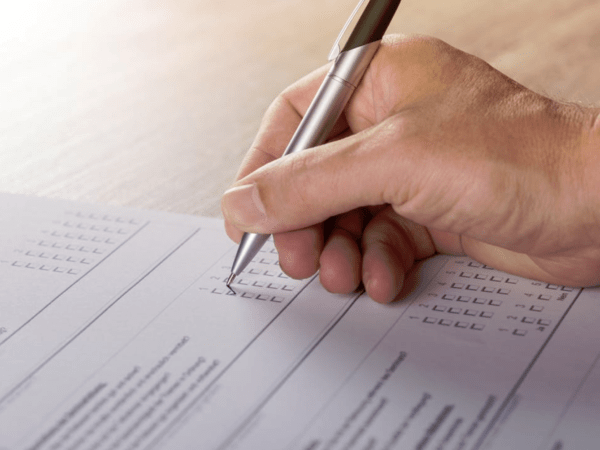 The working theory behind standardized tests is to provide admissions departments the ability to compare applicants using a common set of criteria. Standardized tests are weighted differently from school to school as it is a singular data point in the overall decision-making process. Other important admissions criteria include interviews, essays, applications, GPA, letters of recommendation, transcripts, and extracurricular activities. The ACT is offered 6 times a year and contains four different sections. The 4 test sections of the ACT are: 1) English, 2) Reading, 3) Math, and 4) Science. The ACT is scored on a 1 to 36 scale for each section. Each section is added together and divided by four to arrive at your composite score. The national average composite score for the ACT is 21. When should you take the ACT? Typically, students will take the ACT in the spring time of their junior year or fall of their junior year and, if necessary, again in the fall of their senior year. The SAT is a standardized test created by The College Board which is utilized by colleges and universities to help make college admissions decisions. The theory behind standardized tests is to provide universities and colleges a standardized means to compare college applicants to a baseline and to each other. Just like the ACT, the SAT is a singular element in the college admissions process along with GPA, essays, interviews, application, letters of recommendations, extracurricular activities, and transcripts. The SAT test is offered seven times a year and includes two test sections. The test sections of the SAT include Evidence-Based Reading & Writing and Math, plus an optional essay section. The SAT is scored on a 200-800 point scale for each section with the sections added together to arrive at a cumulative score. As such, a perfect SAT score is 1600 by adding together the two sections. In order to determine which test is easier for you, it will require you to take the test yourself. We have partnered with Peterson’s to offer discounted standardized tests and you can take a practice ACT or practice SAT test by selecting both courses under College Test Prep today. A Practice Test for the SAT and Practice Test for the ACT are offered at an exclusive MatchCollege discount. The ACT and SAT are different standardized tests with different sections. The ACT contains English, Math, Reading, and Science with an optional essay; while the SAT includes Reading & Writing and Math with an optional essay section. Both tests can last around 3 hours without the essay and around 3 hours and 45 minutes with the essay section. There are 5 reading passages in the SAT and 4 reading passages in the ACT. Both the ACT and SAT have math sections that include: Arithmetic, Geometry, Trigonometry, and Algebra I & II. However, the SAT also includes Data Analysis not included in the ACT. The math sections in the ACT allow students to use a calculator while some math questions on the SAT do not allow the use of calculators. Do Colleges and Universities prefer the SAT or ACT? In reality, a college or university that accepts the SAT and ACT do not prefer one standardized test over the other. College counselors and admissions offices from colleges around the country have openly stated no bias between the SAT or ACT. That being said, the data supports the fact some schools admit a slightly higher percentage of one test over the other. The bias seems to be regionally based more so than school-based and students would be wise to ask their college counselor for ACT and SAT acceptance data for schools that reside in a particular region. In turn, students may elect to take the ACT or SAT depending on the data. The following is a list of states that required students to take either the ACT or SAT as a requirement to successfully graduate from high school. It is important to understand that some states on the list below require the ACT while others require the SAT and other states given students the ability to select either test.